This new Ladies V-Neck T-Shirt "We can do it!" by Rumble59 will make you look good in every situation. It combines a fantastic artwok with a great neckline and a comfortable soft fabric quality. 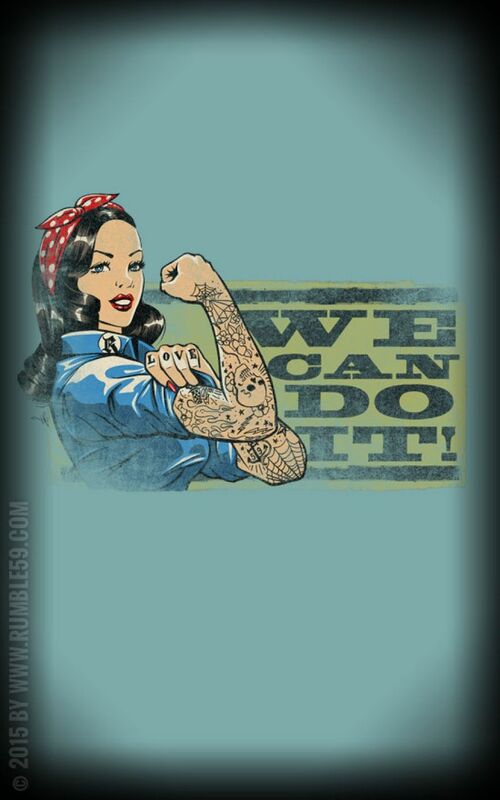 Inspired by the legendary "We can do it"-Poster with Rosie the Riveter from 1941 this shirt is just perfect for all you Rockabilly-Gals and Badass Betties to show the Boys who's the boss! Originally Rosie represented the american women working in factories during WW2 while their men fought in Europe. But we are pretty sure that especially us Rock'n'Roll-Girls still got the strength and attitude nowadays. And if you agree, wear Rosie and the words "We can do it" proudly on your new shirt! This new ladies tee by Rumble59 is made from light and comfortable fabric. The big v-neck emphasizes every décolleté perfectly. Get this sweet We can do it! t-shirt now! Enthusiasm is guaranteed! As a child from the '70s, teenager of the '80s, Jan spent his youth reading comic books, riding BMX-bikes and playing arcade games. He loved watching The Dukes of Hazzard and action-packed movies like Cannonball Run and Star Wars. Jan Meininghaus began his illustration career with the age of 16, designing rock posters and album artwork for the bands in his hometown.With his underground roots always shining through, Jan’s illustrative style is rough, raw and edgy. His female protagonists are more switchblade sisters than innocent cuties and Meininghaus always has a focus on transferring the high-impact energy of his favorite car-chase movies and Rock 'n' Roll attitude to his work. Jan works in various techniques, from painting to digital, but is always adding his experience in filmmaking, model photo-shoots and advertising layouts to keep his work vibrant, unique and alive. For Meininghaus it is never a job, but an extension of his life. Le tee shirt est de bonne qualité, taille parfaitement bien, rien à dire... Il est super !! 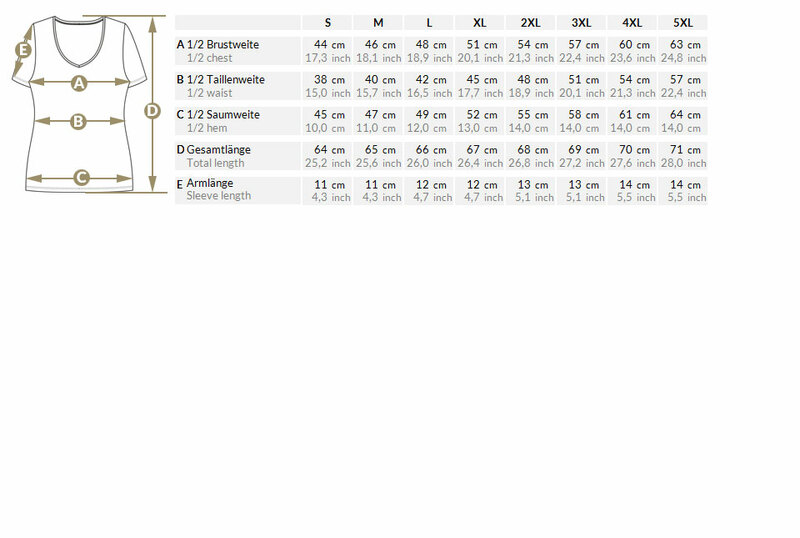 Perfektes Shirt - passt gut und sieht super aus! Very nice shirt, love the deep neckline. Very good fit!! Cooles Shirt, guter Sitz und mal eine andere Farbe... Ich liebe es!